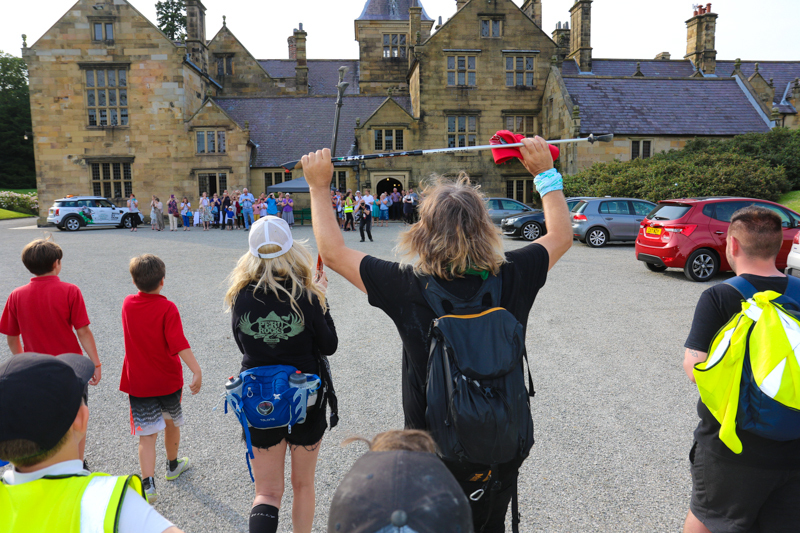 Day Five began at the place where both Mike and Jules Peters started their own cancer journeys for real – The North Wales Cancer Treatment Centre at Ysbyty Glan Clwyd Hospital. 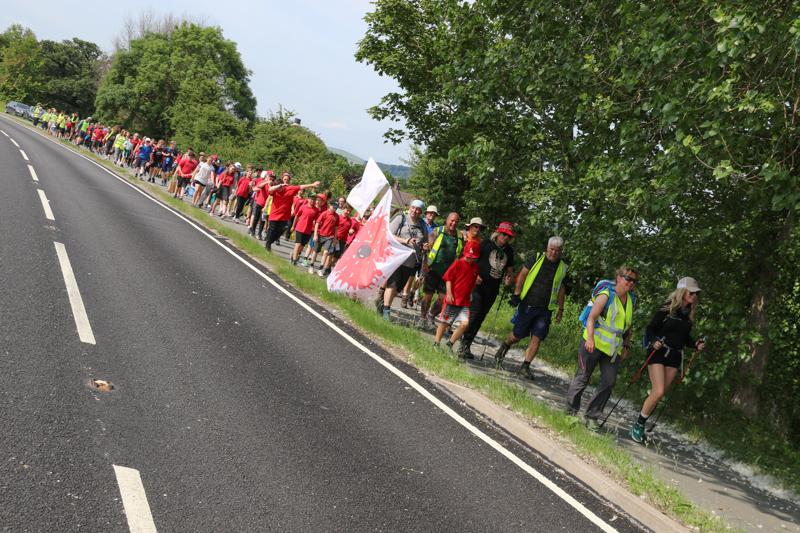 An amazing turnout of doctors, nurses, patients, carers, supporters and school children came out in force to cheer this amazing couple on their journey of recovery and gratitude that is covering 351,120 steps across North Wales and visiting all the major cancer service institutions on the way, in order to raise the equivalent amount in cash funding. 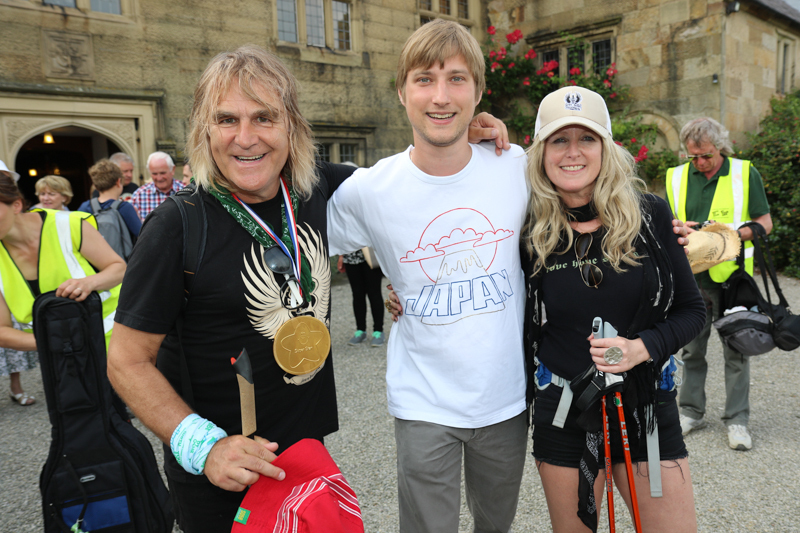 Mike Peters gave an emotional speech and expressed his personal gratitude to the staff for nursing his wife Jules, through her Breast Cancer ordeal and for giving them both the opportunity to recover and to live normal and healthy lives with their sons Dylan (13) and Evan (10), who were both stood beside them as one family united against the illness that has affected the lives of so many. 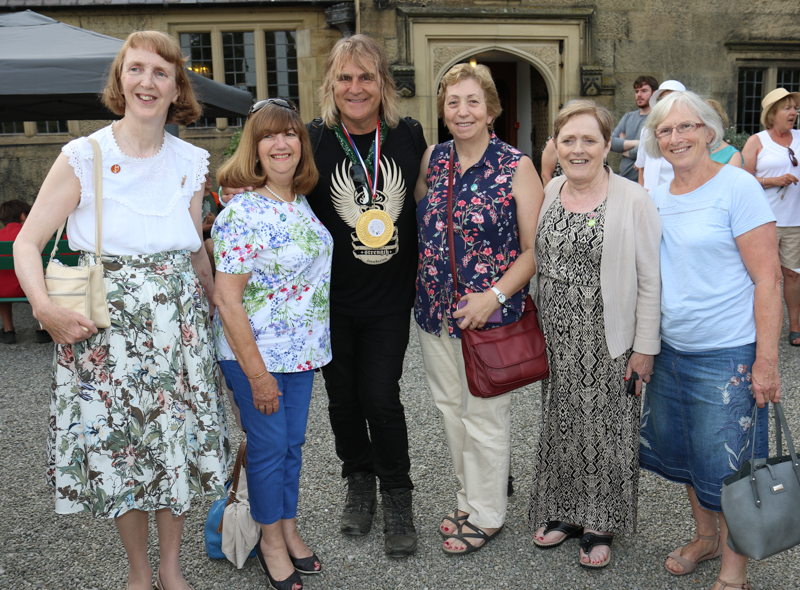 Mike Peters spoke of the need for partnership between the members of the public and the individuals who run all aspects of the national health service, and how all of us who benefit from our unique health care system can play a part in ensuring that the ideals of the NHS can be nourished by working together towards the common goal of good health for all. 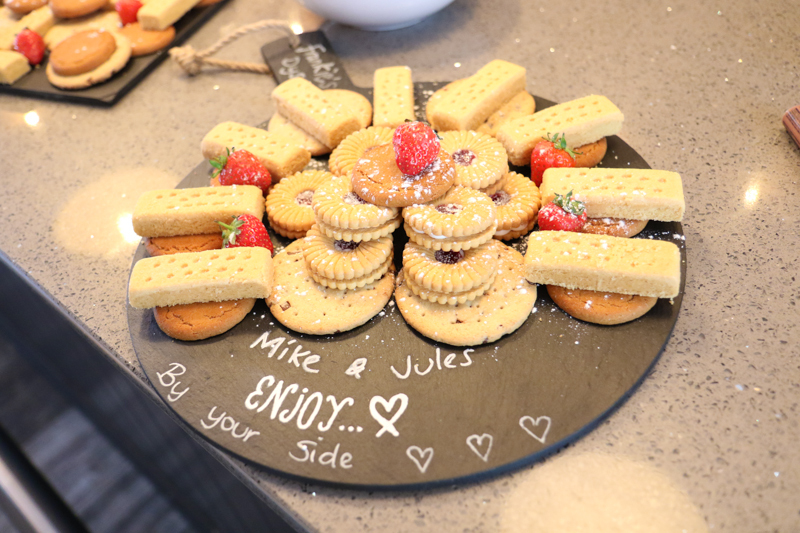 Mike also explained that the inspiration for today’s walk was suggested by the 10 mile route that Jules Peters followed every day for 4 weeks whilst undertaking radiotherapy treatment at the centre, and hoped that it could serve as yet another reminder of just how far people can travel when climbing back from cancer especially as it was almost 12 months ago to the day since Jules was diagnosed herself. 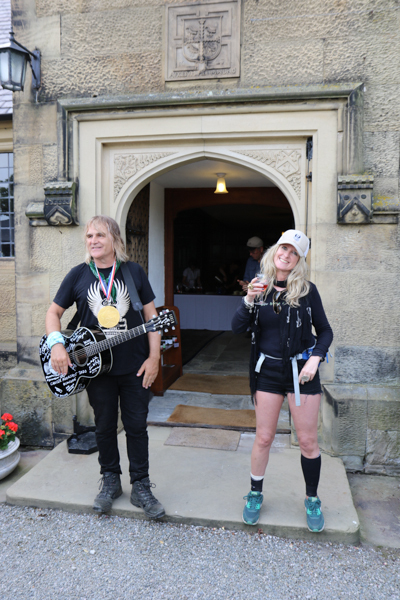 Jules who had been injured on the walk yesterday was in determined mood and once again showed amazing courage to continue with the epic walk despite her obvious discomfort. 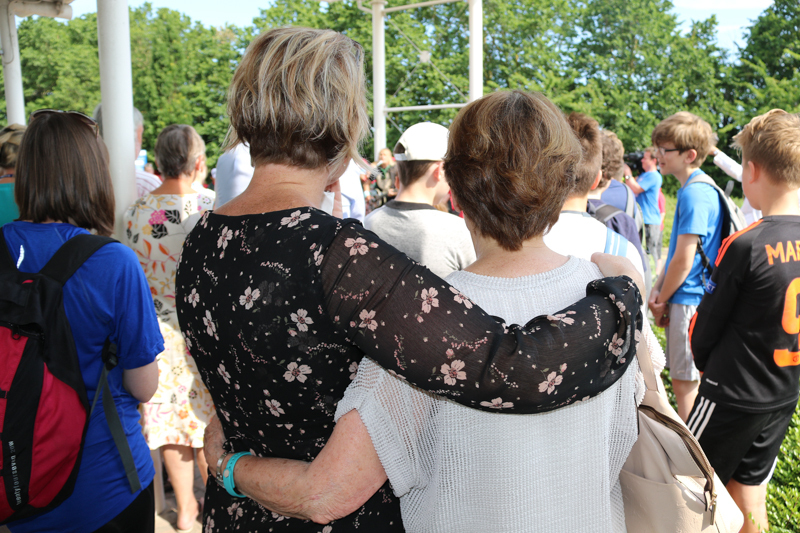 A rousing singalong of ‘Forever By Your Side’ and ‘One Guitar’ turned the clinical surroundings of the hospital environment into a music festival type of atmosphere with everyone encouraged to clap and singalong. The feel good factor that was created put a spring in everyone’s step and with news cameras and press photographers lining the way, it was a sight to behold as Mike and Jules Peters were followed out of the hospital grounds by the core walking group and over 200 school children from Rhyl’s Welsh language primary – Dewi Sant and St. Asaph’s Welsh Secondary School, Ysgol Glan Clwyd, following in their footsteps. 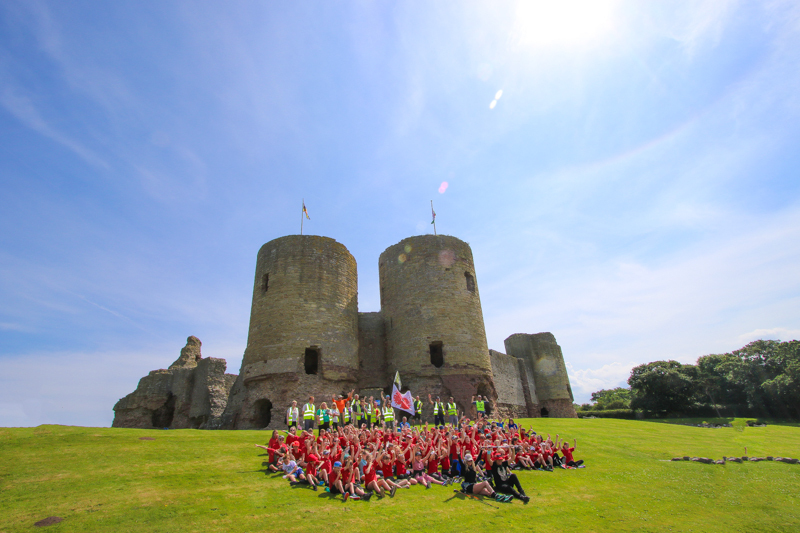 The hot sun was beating down on Wales again as the team made its way to Rhuddlan Castle and a most welcome ice cream stop amongst the historic ruins. Photographs were taken and after a fantastic group shot complete with a mass DAB, the pupils of Dewi Sant headed back to school with the gratitude of all. 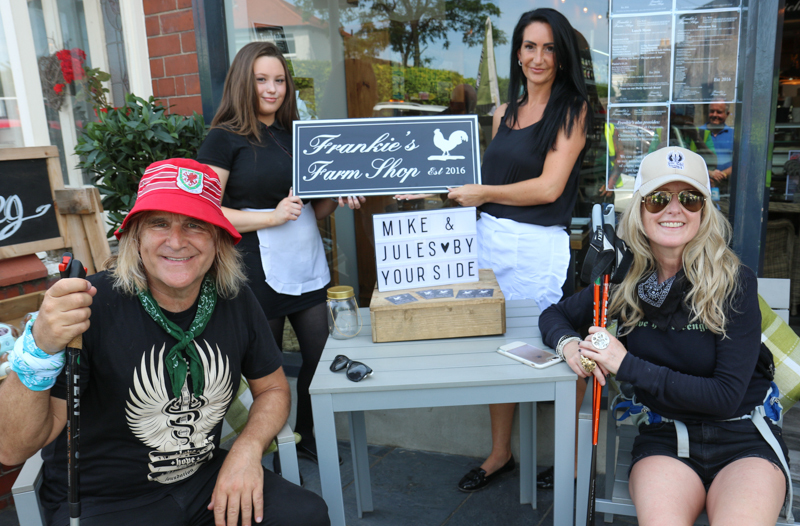 Five miles into the walk and the By Your Side team arrived at Frankie’s Farm Shop in Dyserth who had been supporting the appeal with fundraising activities of their own, and generously offered to feed the team of walkers and some of the older school children from Glan Clwyd. 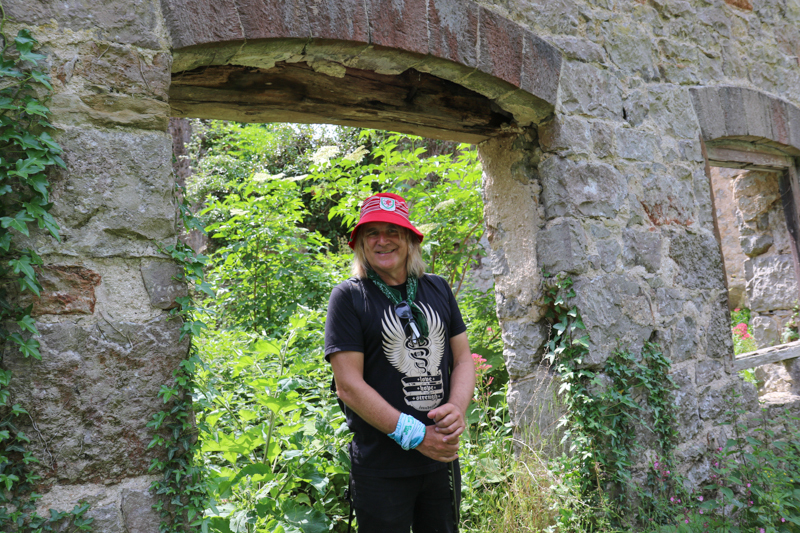 It was here that the team was joined by the outrageously young and charismatic Lord Mostyn who had come to show his support for the cause and to accompany the team to his ancestral home and final destination of today’s hike. 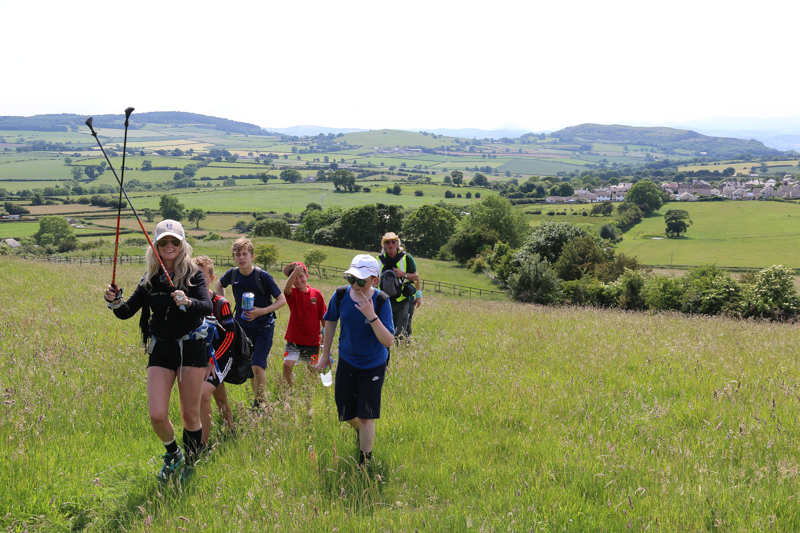 At the village of Trelawnyd, the appeal team were joined by another host of young children from the local primary school who had been fund-raising and wanted to join the By Your Side walk on the long hike through their local fields and forest paths. It was a magical afternoon for all concerned with Sky Sports presenter Bryn Law entertaining each and everyone with stories of his many years in high level sports correspondence including covering Wales’ epic journey to the semi-finals of the Euro 2016 Tournament. 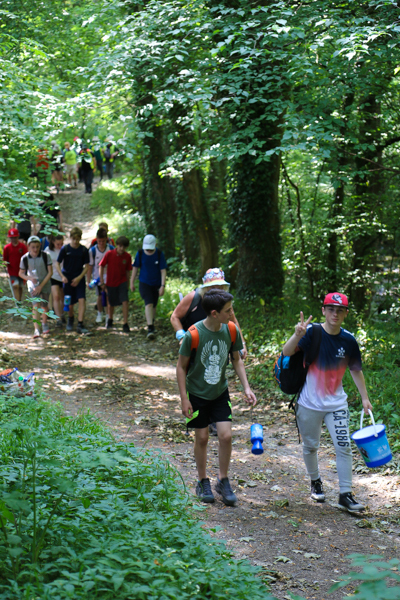 It was a long hike, make no mistake, and at one point the team had to hack their way through the undergrowth as they made there way to the magnificence of Mostyn Hall. What a sight awaited everyone as (flanked by the sponsorship support cars donated by local Mini / BMW dealership Halliwell Jones) the team walked into the historic grounds of Mostyn Hall (which also happens to be Lord Mostyn’s personal residence) to be greeted by many members of local cancer support group services from all across the North Wales region. 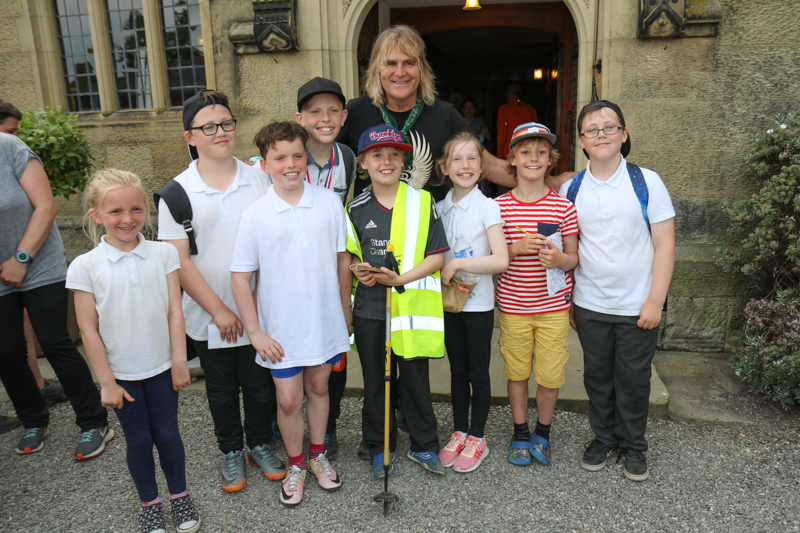 True to his word (and to the amazement of all the school children who couldn’t believe that this very down to earth and humble young man could possibly live in such a place of grandeur and elegance), tea was served for one and all!!! 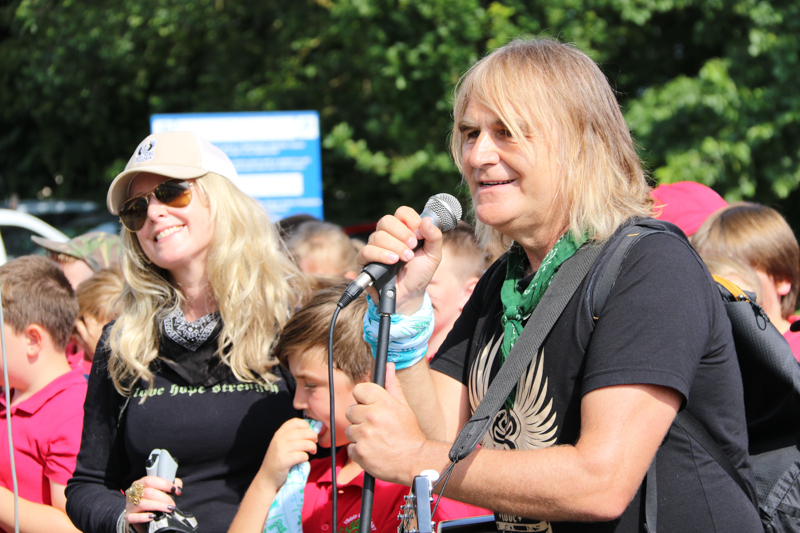 A final speech from Mike Peters acknowledged with gratitude, the efforts made by so many in making the By Your Side Appeal so successful and pointed out (to cheers from all sides), that this was in fact the half way point in the journey. 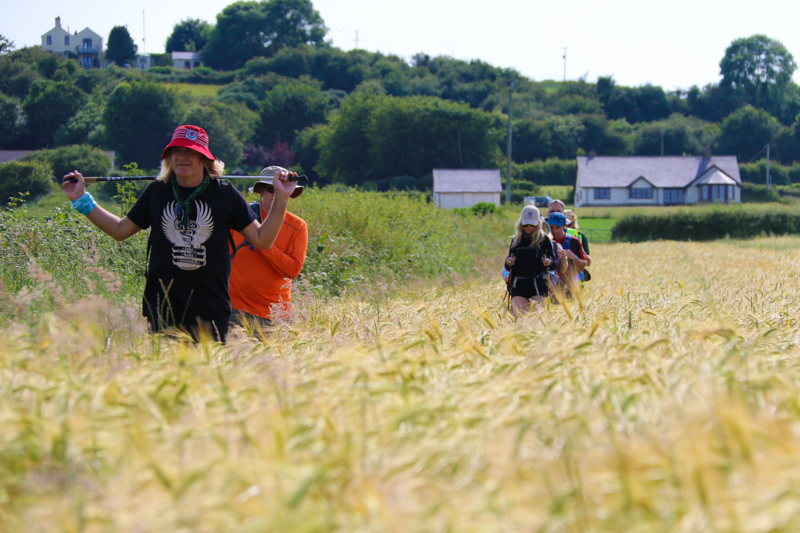 Onwards and upwards to Mount Snowdon on Saturday. 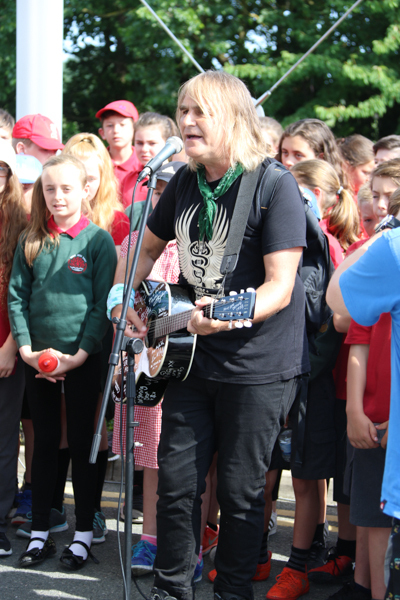 Day Six will begin with an opening speech and song performance by Mike Peters when he returns to Rhyl High School where he was educated from 1970-1975. 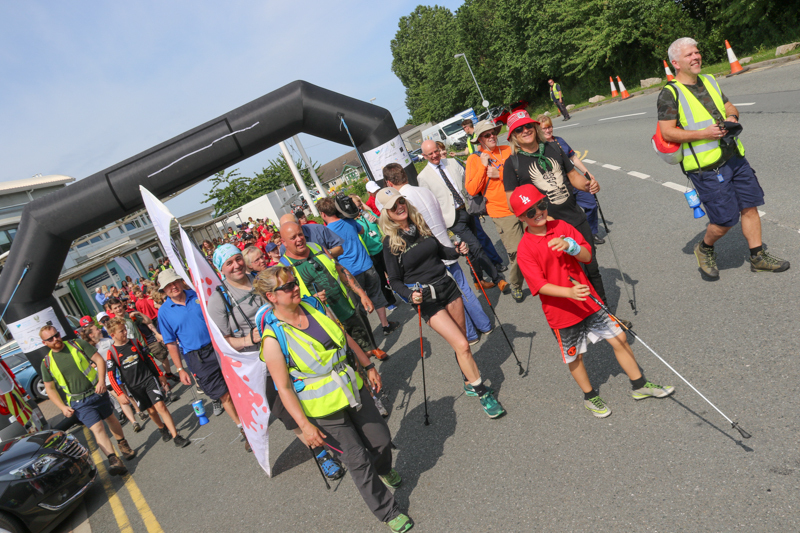 The walk will then begin in earnest at the Harbour Hwb in Rhyl with a 12 mile walk along the Welsh Coastal Path to finish at Porth Eirias Restaurant in Colwyn Bay which will be followed by a fund raising dinner hosted by celebrity Welsh Chef Bryn Williams.